(2-LP set) The concert programme consisted of long medleys composed by Wayne Shorter and Joe Zawinul, which were dissected and put together again with interplay between the rhythm group and the soloists. 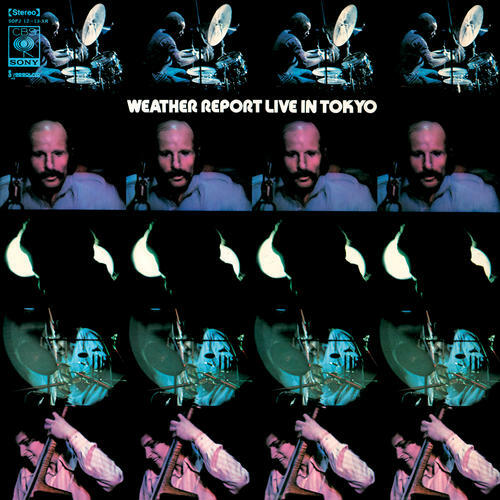 Wayne Shorter, who plays the tenor and soprano saxophone and the virtuoso Joe Zawinul, who loved to alternate between the acoustic and electric piano, were quite rightly awarded with frenetic applause from the audience. The most recognizable numbers are probably "Doctor Honoris Causa", (which Cannonball Adderley also often liked to perform this in public), and "Directions" (just listen once again to the version which Wayne Shorter recorded with Miles Davis! ).